RunGap will now connect securely to your Map My Tracks account. 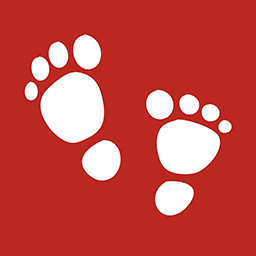 If you have lost your password you can reset it here : https://www.mapmytracks.com/forgot-password. You can upload a single activity directly to Map My Tracks by opening it from the "Activities" list, tapping the "..." button in the upper right corner and choosing "Share." This will bring up a page where you can choose to share the activity to on or more of the most popular services including Map My Tracks along with an optional message. Similarly, you can upload all your activities directly to Map My Tracks by choosing "Share & Export" from the upper left menu and then "Map My Tracks." RunGap will then upload all activities not previously uploaded to Map My Tracks. This may take a while the very first time, but RunGap will automatically skip previously uploaded activities which have not been modified and therefore subsequent exports will complete much faster. Please note that the Swag Bag  is required in order to share activities directly to Map My Tracks. To disconnect your Map My Tracks account, select "Accounts & Settings" from the upper left menu and then "Map My Tracks." Next, choose "Log out" to disconnect the account. If you see the message "Unable to post activity to Map My Tracks" it means that RunGap is unable to contact the Map My Tracks service and upload a workout. This is most likely a communications problem or a problem with your Map My Trakcs account. Please check your Internet connection and try to connect using the Map My Tracks website to verify your account and the service. Map My Tracks has an API for 3rd party developers, which allows easy upload of workout data. To get data back out you will need to download workouts one by one from the website. Therefore Map My Tracks gets an average score of "3."